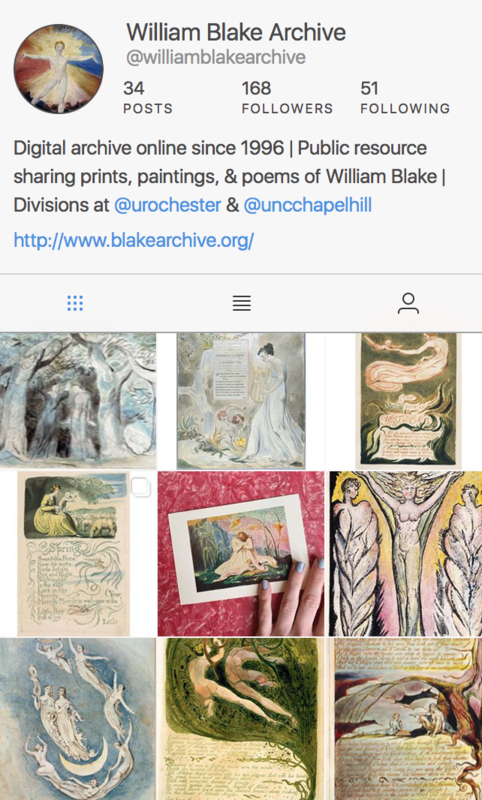 If you are interested in Blake on Twitter, as I am in my @BlakeQuarterly incarnation, you’ll not go far before you come across interesting posts by Naomi Billingsley (@NAIBillingsley), which I often retweet. I recently asked Naomi if she would participate in a Q&A about her work. How was your interest in Blake sparked? Like many, I first encountered Blake as a teenager, through studying the Songs at (high) school. Our teacher set us a critical analysis of “The School Boy”, which unsurprisingly went down well among the class! And I remember being intrigued by the combination of word and image. Then, when I was an undergraduate at Cambridge, I went to the Fitzwilliam Museum to find something to write about for a coursework essay on Christian art and Blake’s work stood out among lots of the more conventional (also brilliant) iconography in the collection. So I ended up writing about Blake then, which sowed the seeds of my PhD project that I worked on at the University of Manchester, which focused on the figure of Christ in Blake’s pictorial works. Can you tell me about your previous work in Chichester and your current position? After completing my PhD in 2015, I was appointed as the first Bishop Otter Scholar for Theology and the Arts in the Diocese of Chichester (quite a mouthful of a job title!). The post is a partnership between the Church of England Diocese of Chichester and the Centre for Arts and the Sacred at King’s College London. I was involved in various projects to do with researching and engaging the public with art in the diocese, especially the art in Chichester Cathedral (a place Blake must have visited, as Morton Paley explores in an essay in Karen Mulhallen’s Blake in Our Time). One of the outcomes of my work in that post is a pilgrimage trail for an app called “Alight: Arts and the Sacred”, which will be launched at Easter. Blake will get a mention given his (not entirely happy) connections with Chichester. 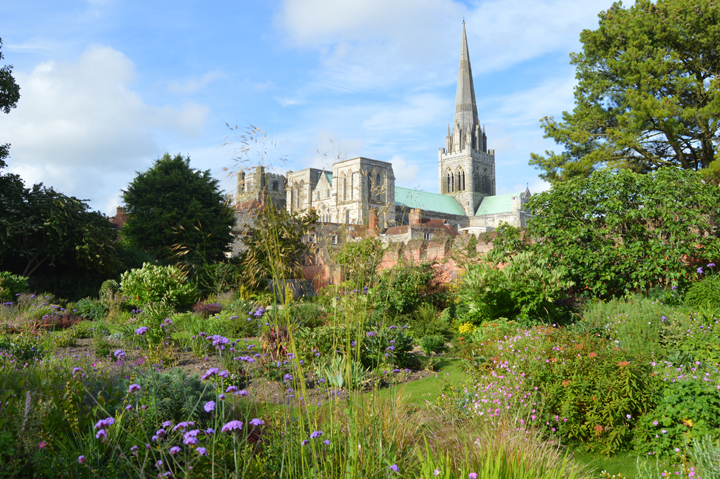 Chichester Cathedral from the Bishop’s Palace Gardens (now a public park, but in Blake’s day still part of the bishop’s private grounds). In Jerusalem, Blake described Chichester as “lovely, mild & gentle” (36.50, E 182). Photograph: Naomi Billingsley. 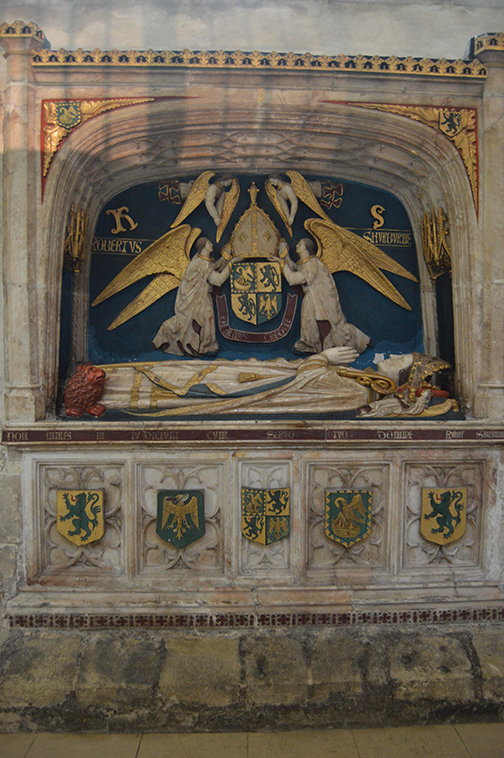 The tomb of Robert Sherborne, Bishop of Chichester 1508-36, Chichester Cathedral. Did such monuments in Chichester Cathedral influence Blake’s interest in Gothic forms following his years in Sussex? Photograph: Naomi Billingsley. Living in that corner of the country gave me cause to think a bit more than I might otherwise have done about Blake’s time in Sussex, and I did some work on the Butts biblical watercolours from the Felpham period, which resulted in several talks locally and an essay, which should come out next year. In January this year, I moved back to Manchester for a postdoctoral fellowship at the John Rylands Research Institute—so I’m working closely with materials in the special collections at the John Rylands Library. Blake’s assessment of Manchester was rather damning; he called it a place of “tortures of Doubt and Despair” (Jerusalem 21.36, E 166). Happily I disagree with him on this point, and I’m enjoying being back in the city. At the moment, what are you researching/working on? 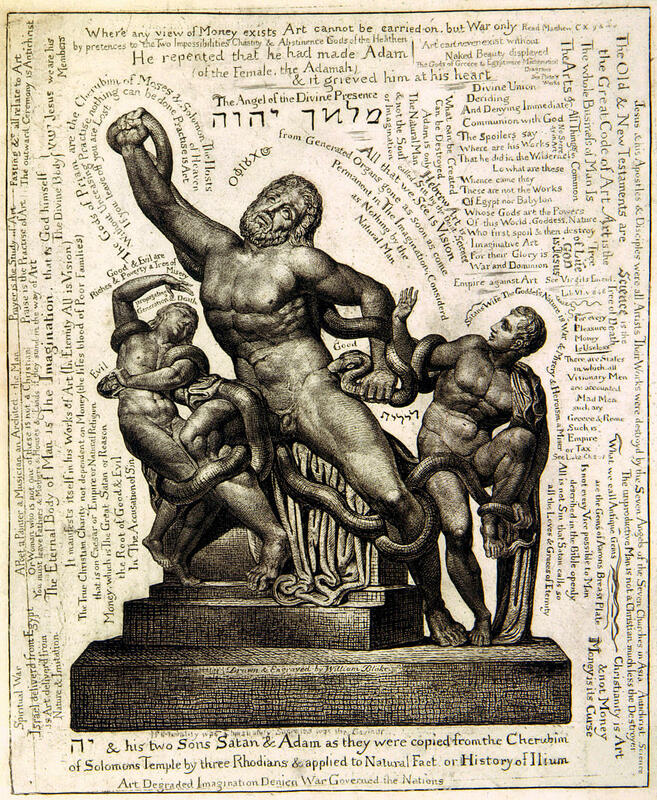 My postdoctoral project is about the Macklin Bible—an illustrated edition of the Bible, published in London in 1800. This project stems from my interest in religious visual culture in the Romantic period from my PhD research on Blake, but focuses on a wider range of artists. Blake wasn’t involved in the project, but some members of his circle were, including Thomas Stothard and Henry Fuseli. I’m also working on adapting my doctoral research into a monograph. The book will explore how Blake used the figure of Christ as a sort of archetype for the artist, focusing on Blake’s images of Christ. So Blake remains an ongoing research interest. We’re lucky in Manchester to have some fantastic Blake collections. Next month Colin Trodd (author of Visions of Blake: William Blake in the Art World, 1830–1930) is organising a workshop at the Whitworth (the university’s art gallery) on Blake’s impact in modern and contemporary culture, which will include an opportunity to see Blake and Blake-inspired works (for any readers in the Manchester area, details and booking are available here). I’ll be speaking about some of the Blake works in the Whitworth collection—the 1809 Milton Nativity Ode watercolours, and the richly coloured Ancient of Days, said to be the version of that plate that Blake was working on on his deathbed. As the frontispiece to Europe, the latter image, which depicts the deity with the dividers, has a new resonance in Brexit Britain! The Historic Reading Room, the John Rylands Library. The building was designed by Basil Champneys and opened on 1 January 1900. 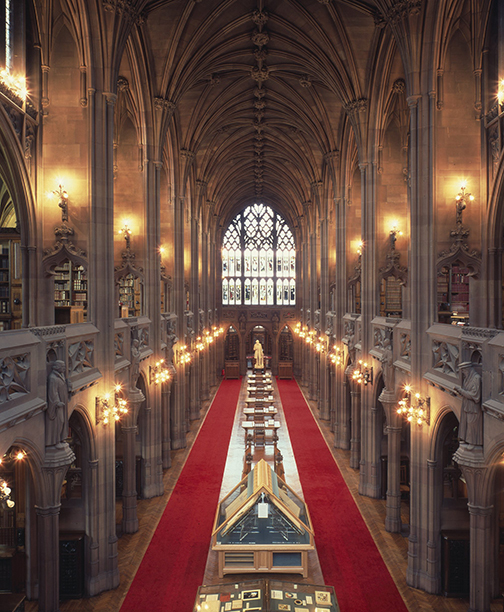 Photograph courtesy of the University Librarian and Director, the John Rylands Library, University of Manchester. Favourite place you’ve travelled/place you wish there were an all-expenses-paid conference? I’m not really one for favourites! My best work-related trip to date is easy though—in 2014 I was a visiting scholar at the Yale Center for British Art, which allowed me to spend many days looking at Blakes and works by his contemporaries in the Mellon collection. I also managed to visit various other collections on the East Coast during that trip, and enjoyed exploring the cities as well as the artworks. Outside of work, I probably most enjoy travelling to visit friends and family, not only because it provides an opportunity to see people, but also because you see a different side of a place when exploring with a local. One of the joys of academia is that it’s such an international field; in my office of seven, we have five nationalities—German, French, Italian, Turkish, and British. We have lots of conversations over lunch about cultural quirks and foods from our various countries. An interesting book (doesn’t have to be work related) that you’re reading/have read recently? Work-wise, I’m looking forward to my copy of G. E. Bentley, Jr.’s Thomas Macklin (1752–1800), Picture-Publisher and Patron: Creator of the Macklin Bible (Mellen Press, 2016) arriving in the post. Knowing Bentley’s Blake work, his work on Thomas Macklin will be really crucial for developing my own project on the Macklin Bible. More for pleasure, I’ve started, and hope to read properly over Easter, Spike Bucklow’s The Riddle of the Image: The Secret Science of Medieval Art (Reakton, 2014). It’s about production techniques of mediaeval art, brought to bear on various works of art. It won Art and Christianity Enquiry’s 2015 book award, and it was highly recommended to me by a number of people.